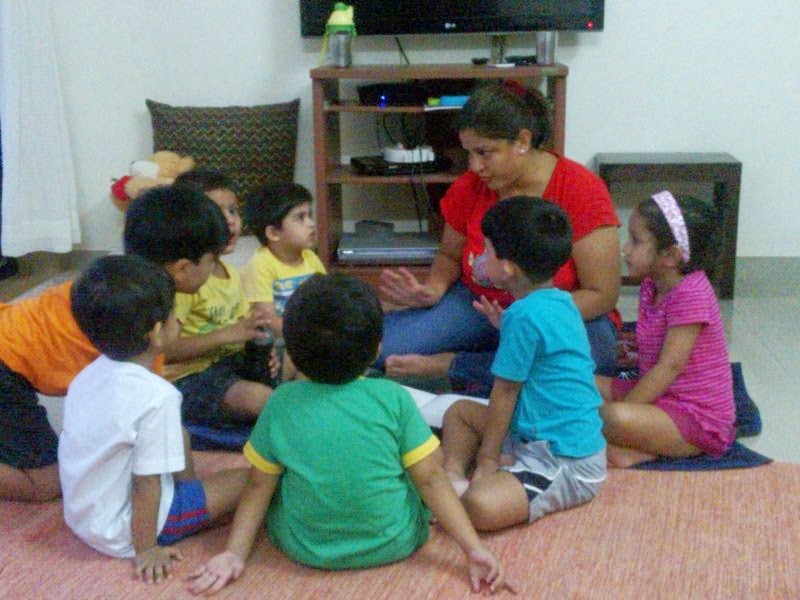 Amruta Dabholkar sent us the following story about the session she conducted on 3rd September, 2013. Session included story telling. After i told them the story, each kid went through the book, looked at the pictures and narrated his/her version of the story. We had giant sized chart paper in which, children drew their versions of giant building, man, boy, train or bus. Then there was an impromptu addition to the session, where in each of them came forward and did a little performance, some recited poems, others told us another story which they knew. We were together for about 1.5 hours. And one of the outcomes of this session was that we have started a group called Tuesday Talent Group ( as 3rd Sep was a Tuesday), where in we have decided to meet every Tuesday and do some or the other activity with the children. Wow!!! We love to hear when one storytelling session spurs on a movement that engages children. Great going Amruta.